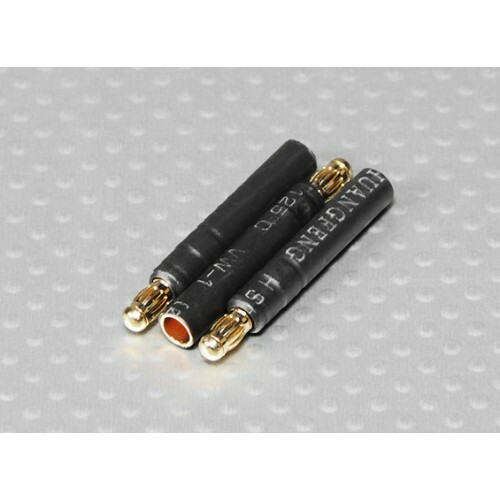 This handy little accessory will allow you to easily convert a 4mm male bullet connector to 3.5mm male bullet connector. Perfect for multicopter use where long ESC to motor wiring is utilized. This adaptor comes insulated with black heat shrink and is supplied in packs of three.